The Internet is filled with lots of websites. Lots and lots. In fact, Internet Live Stats currently shows that there’s over one billion websites out there and it’s climbing higher and higher each and every single day. So with that being said, I think it’s safe to say that there sure isn’t a lack of things for us to read on the good ol’ World Wide Web. At times, finding quality amongst quantity can be difficult. With the sheer number of websites that are available for us to consume, sometimes the amazing ones get lost in the shuffle because they get surrounded by a huge collection of mediocre ones. What a shame! Well, I’m here today to brush away some of the mediocre ones so I can show you an amazing website that deserves a great deal of praise. It’s called TheMighty.com and it’s a website that, in my opinion, should be consistently visited by all speech-language pathologists because it’s just THAT good. TheMighty.com is a location on the Internet that contains hundreds and hundreds of real stories by real people facing real challenges. The creators of the website believe that disability or disease doesn’t have to be an isolating experience. So, with that in mind, they’ve created a safe space online for people to publicly share written thoughts and feelings about topics such as autism, Down syndrome, cerebral palsy, and so much more. My favorite articles on TheMighty.com. 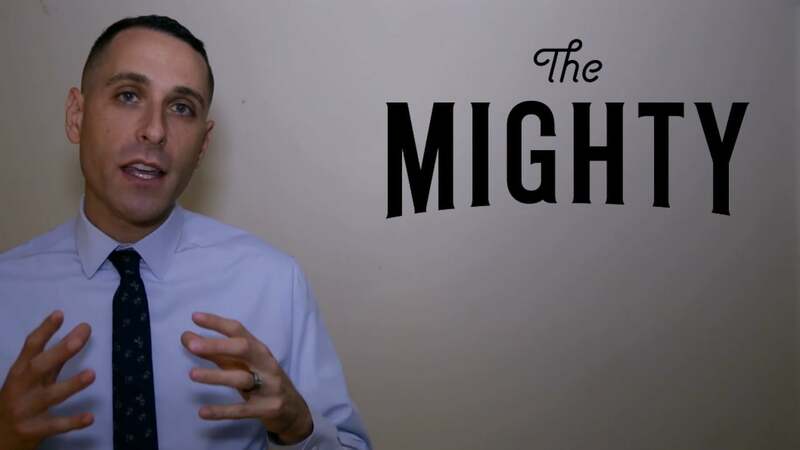 If you already know about TheMighty.com, then I’m sure you totally agree with the praise that I’m giving it. But if you’re new to TheMighty.com, please allow me to share with you a few of my favorite posts on it in hopes that I can convert you into as big of a TheMighty.com fan as I am. Such beautiful pieces of writing! Those highlighted posts are a few of the many articles that I’ve learned from. As I read each word written on TheMighty.com, I’m able to expand my understanding of the given subject that is being written about in a way that is so genuine and so real. To every person that has written an article on TheMighty.com – thank you for your teaching. I just want ya’ll to know that I wasn’t paid by TheMighty.com to write this. In fact, I don’t even know a single person over at TheMighty.com (but one of these days, I sure hope I get the opportunity to meet someone from TheMighty.com because I’m going to give them one of the biggest hugs in the history of hugs so I hope he/she is ready for me!). I hope you can find a few extra minutes sometime today to check out TheMighty.com because I promise ya, it will do your speechie brain a lot of good. Give it a go and let me know what ya think!